This past weekend we drove down to Rukinga Ranch to catch some action of the KCB Voi Rally. The one-day event which took place on Saturday the 6th, was flagged off at the KCB Voi Branch after which, rally traffic proceeded to Voi stadium for the spectator stage at 3 minutes intervals as par the start order. After flag-off, cars transported directly to Rukinga Ranch Service from where they were to tackle competitive sections among them, Simba (51km), Ndovu (33km) and Twiga (16km) stages. Simba, Ndovu and Twiga were repeated twice to make up a competitive mileage of 202km. The total distance of the rally was 274km. The KCB Voi Rally attracted a star-studded entry of 53 cars featuring three Super 2000 cars, a myriad Group N cars, two Ford Fiesta R5s, two–wheel drive Toyotas, Classic Porsches and Ford Escorts, Group “S” Subaru and Mitsubishi machines and specially prepared vehicles (SPVs) which are non-homologated. KNRC’s current leader Jaspreet ‘Jassi’ Chatthe who also tops the FIA African Rally Championship (ARC) log secured his second win of the 2015 KCB Kenya National Rally Championship series at the event. Driving a Mitsubishi Lancer Evo10 under the ‘Team Kibos’ livery, he led from start to extend his lead at the top of the standings. Jassi was using the Voi Rally to shape up for the Oryx Energies Rally of Tanzania next weekend. “We just want to remain consistent and clean in the remaining events hoping that nothing unexpected happens. Its a busy season for us running in both the ARC and KNRC,” said Chatthe. National champion Baldev Chager was placed second overall in a similar machine, a mere 33 seconds behind the leader. With a sole Skoda, Quentin Mitchell took third place. 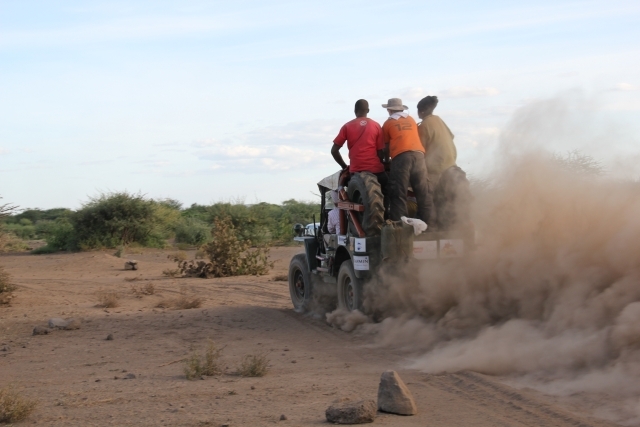 The KCB Voi Rally was the first ever in the history of the KNRC series to go “carbon neutral” at Rukinga Ranch – which is part of a group called Wildlife Works. The event had been designed not to add carbon to the air. 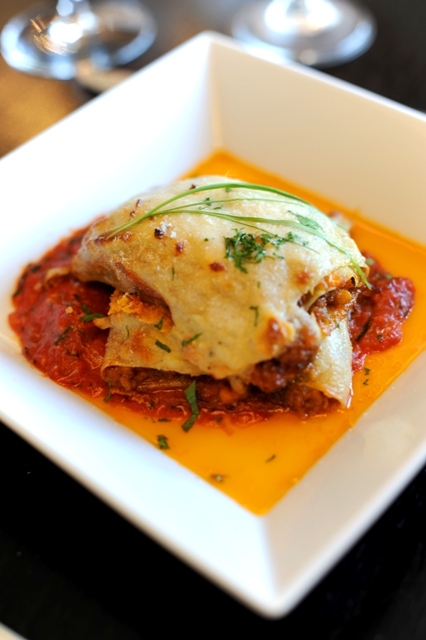 Nairobi Restaurant Week: You can’t afford to miss it! 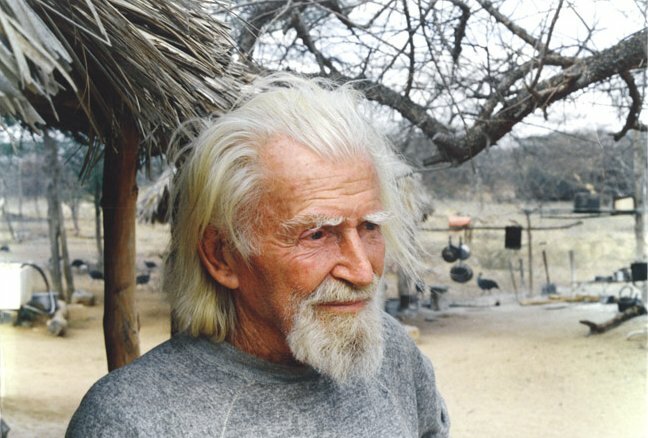 Conservationists from all over the world will next month converge at Kora National Park to commemorate the 24th anniversary of George Adamson’s death and to honor his work. 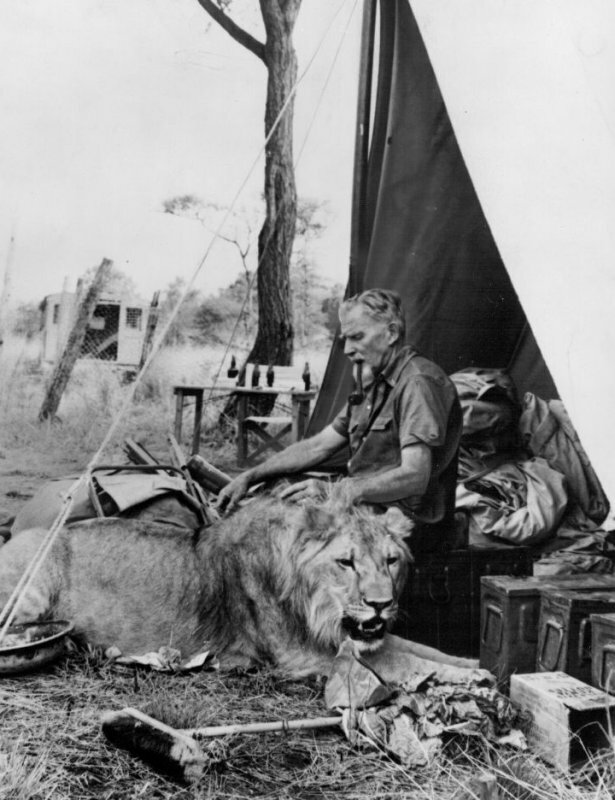 George Adamson is one of the founding fathers of wildlife conservation in Africa. 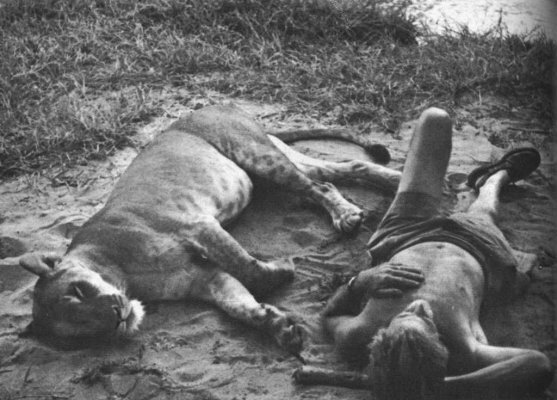 During his lifetime, Adamson mainly rehabilitated captive or orphaned big cats for eventual reintroduction into the wild. 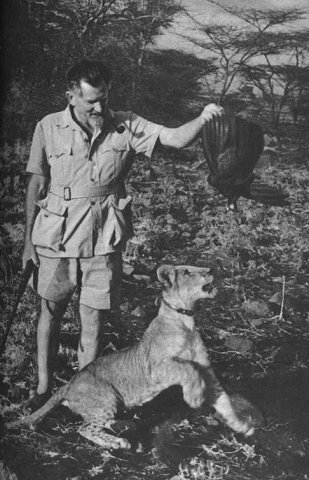 Adamson’s interest in conserving wildlife earned him the name ‘The Lion Man Of Africa’. The event is organized by the Kenya Wildlife Service with support from other stakeholders. 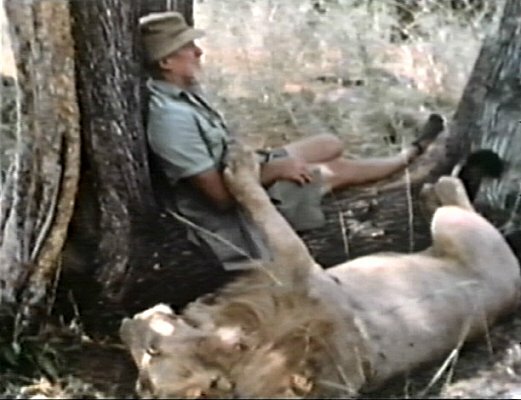 The George Adamson commemoration weekend in the wild will run from Friday -August 31-to Sunday -September 1. August 20th will be exactly 24 years since Adamson’s demise, hence the need to visit where he used to work, live and eventually buried. 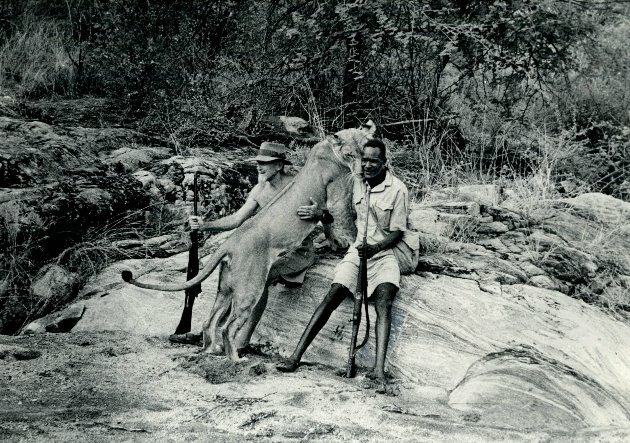 The primary objective of the event is to build on the foundation laid by George Adamson’s conservation of lions in both Meru and Kora ecosystems. The people in attendance will be involved in many activities including camping at Adamson’s Camp, climbing the Kora Rock, visiting George Adamson’s grave among many others. Corporate organizations and individuals have also been invited to participate by sponsoring corporate teams or contributing towards the George Adamson Fund. A participation fee will be charged as a package with an individual participant paying Ksh 4,000 and cooperate bodies paying Ksh 50,000 – a team of not more than 10 people. The Kenya Wildlife Service has waived park entry categorization for visitors between the 30th August and 1st September, 2013. 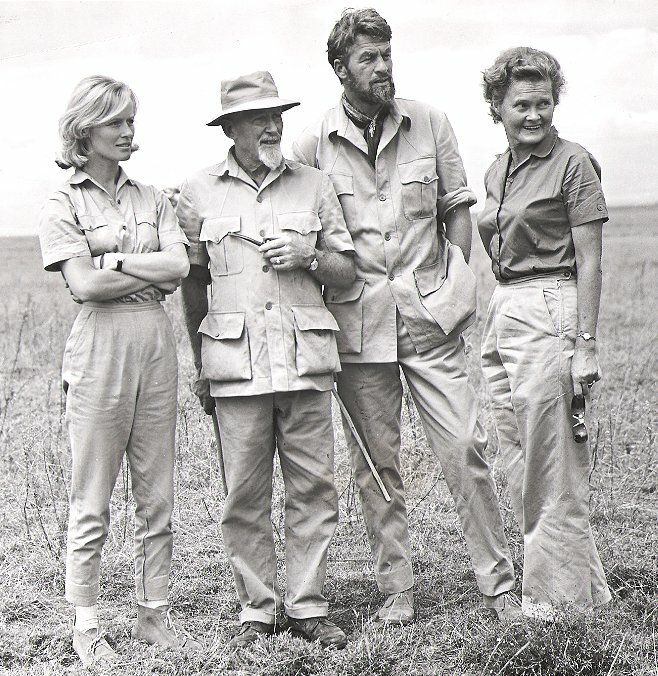 A few weeks back, conservationists from all over the world converged at Kora National Park to commemorate the 24th anniversary of George Adamson’s death and to honour his work. The commemoration weekend took place in the wild from Friday 31Aug – Sunday 1 Sept. 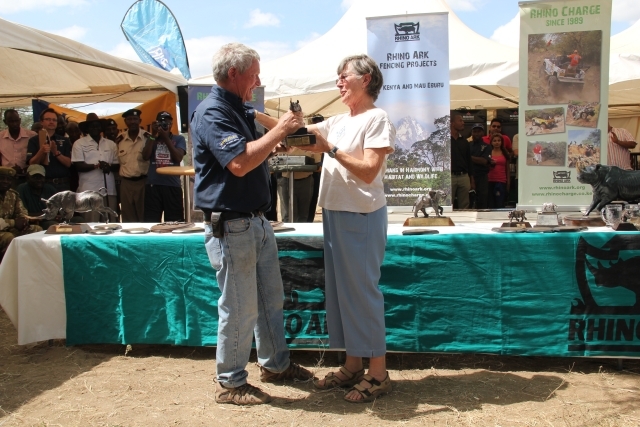 Organized by the Kenya Wildlife Service with support from other stakeholders, the event’s primary objective was to build on the foundation laid by George Adamson’s conservation of lions in both Meru and Kora ecosystems. 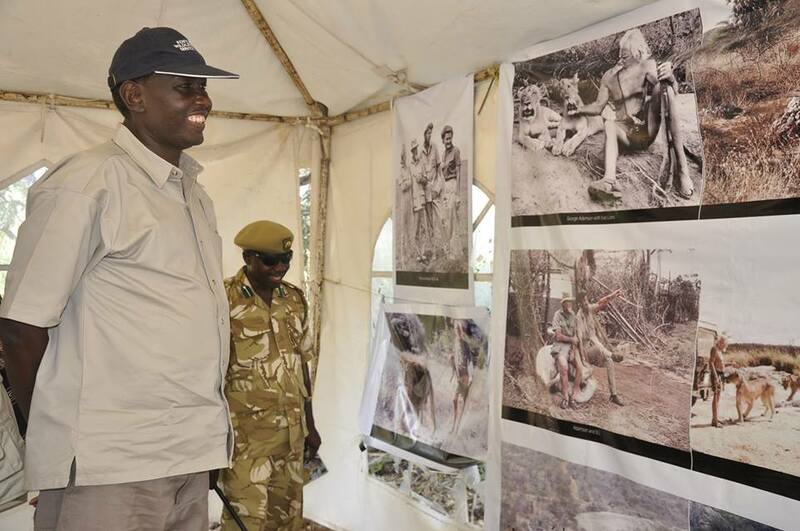 KWS Director Mr.William K. Kiprono at Kora National Park(The Last Wilderness) during the George Adamson Anniversary weekend. George Alexander Graham Adamson was born in Etawah, India (then British India) on 3rd February 1906 of English and Irish parents. At age 18, George made his way to Kenya to work on his father’s coffee plantation. His adventurous spirit did not however allow him to stay in the plantations for long as he shifted gears and ventured into many other different things including gold prospecting, goat trading and safari hunting. 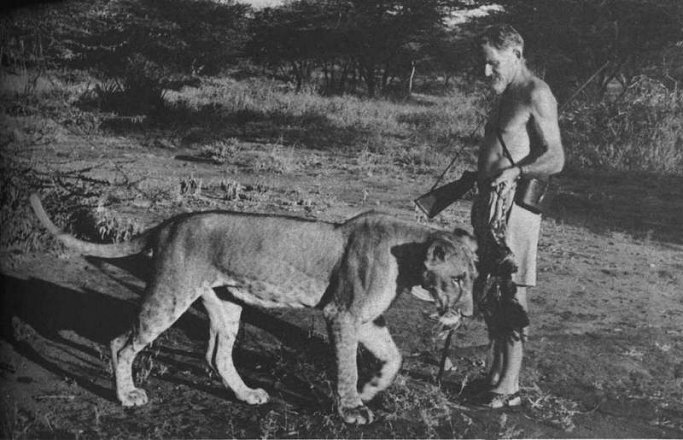 George Adamson’s life as “Baba ya Simba” (father of lions) began back in 1938 at age 32 when he joined Kenya’s Game Department as a warden. 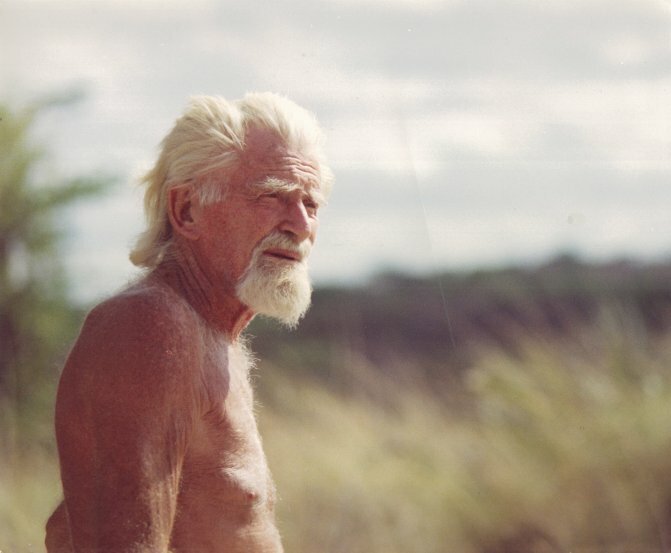 Famed as the ‘Lion Man of Africa’ and regarded as one of the founding fathers of wildlife conservation, George Adamson is best Known from the book and award winning film ‘Born Free’ which features the story of elsa, an orphaned lioness that he raised and released into the wild together with his wife Joy whom he had married six years after joining the Game department. Elsa the lioness would not only come to change George and Joy’s lives but through subsequent books, movies and films, she promoted an enormous interest in conservation with the general public. At about age three, the Adamsons embarked on a feat that had not been attempted before i.e to teach Elsa to hunt and introduce her back into the wild. Virginia and her real life husband Bill Travers played the roles of Joy and George in the award winning movie BORN FREE. My Elsa gone. Gone the most wonderful friend and part of my life which nothing can replace. Why should it be? 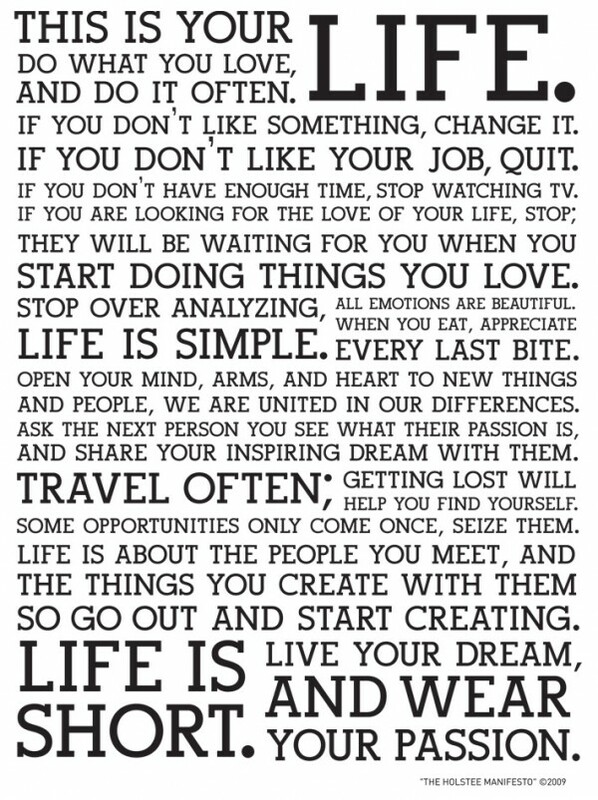 Something which has created nothing but good will and love in the world.” George Adamson. 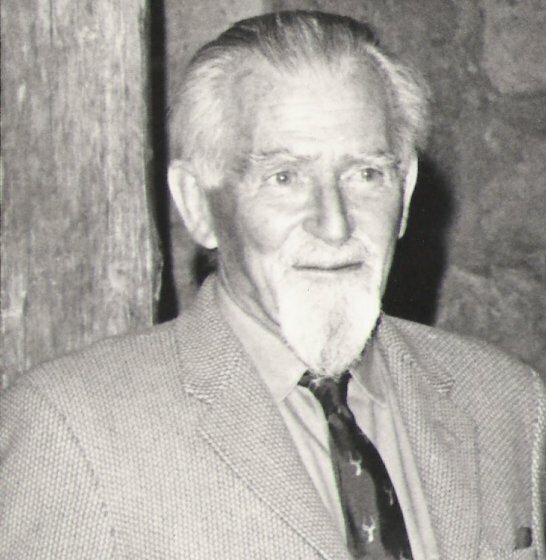 George retired from his position as senior game warden of the Northern Frontier province of Kenya, presently around the Meru National Park area in April 1961. This move would enable him to devote himself fully to working with lions. In 1970, he moved to the Kora National Reserve in northern Kenya where he worked with Tony Fitzjohn as his right-hand man. Together, they continued the rehabilitation of captive or orphaned big cats for eventual reintroduction into the wild. 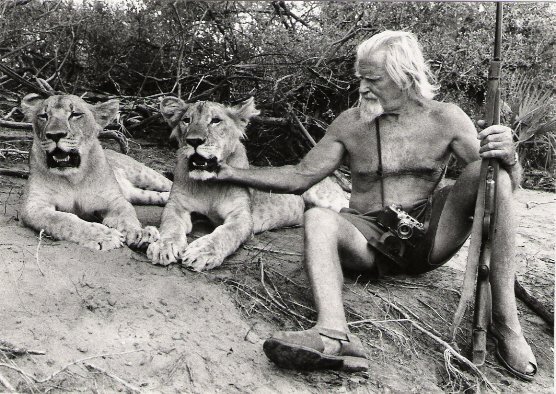 George Adamson narrated his many adventures in his double titled biography, ‘Bwana Game’ (European title) and ‘A Lifetime with Lions’(USA title). His publishing ‘My Pride and Joy’ is equally another fascinating autobiography. 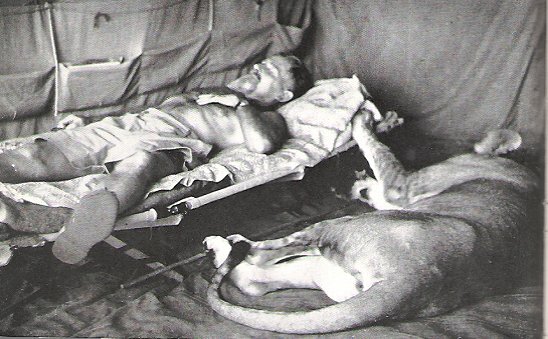 Although many people feared that living with the lions could pose a danger to the Adamsons, it became apparent that their worst enemies were of their own Kind – Humans. 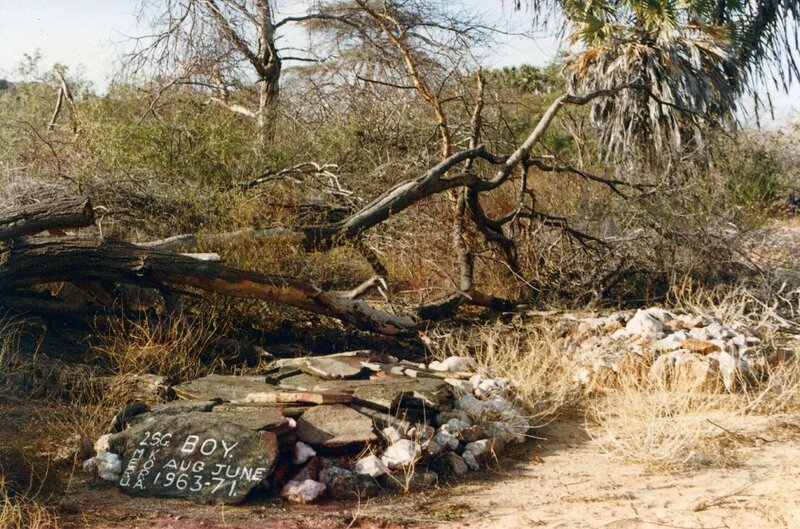 In 1989, George Adamson was murdered by Somali bandits as he attempted to rescue a young European tourist and one of his assistants at the Kora National Park. 20th August this year, marked 24 years since his demise. 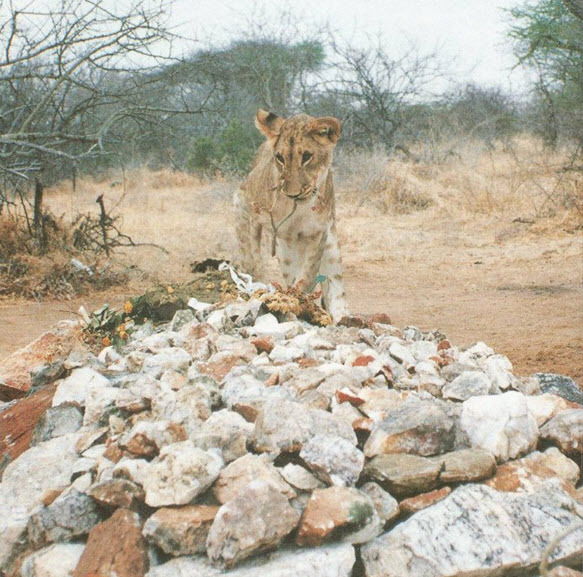 He is buried at a site known as Kambi ya Simba (lion’s camp) in the Kora National Park beside his brother Terrance Adamson, Super Cub and his beloved lion friend, Boy. George died at the age of 83. 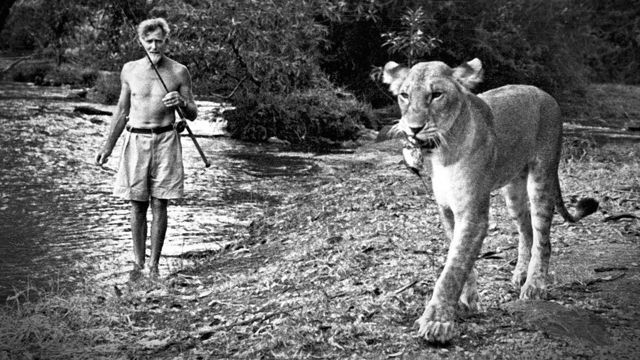 There will never be another person like George Adamson. 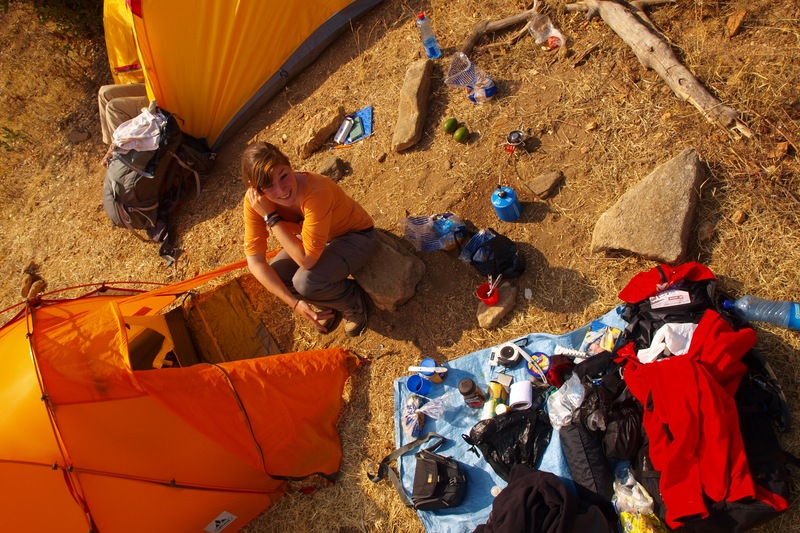 His was a rugged lifestyle, in a bush camp with only a few modern conveniences. He lived in harmony with nature and he shared a truly beautiful and almost unbelievable friendship with his beloved lion friends. He was truly a unique and wonderful gentleman who devoted his life to helping wildlife and to protecting the unique environment in which they lived. 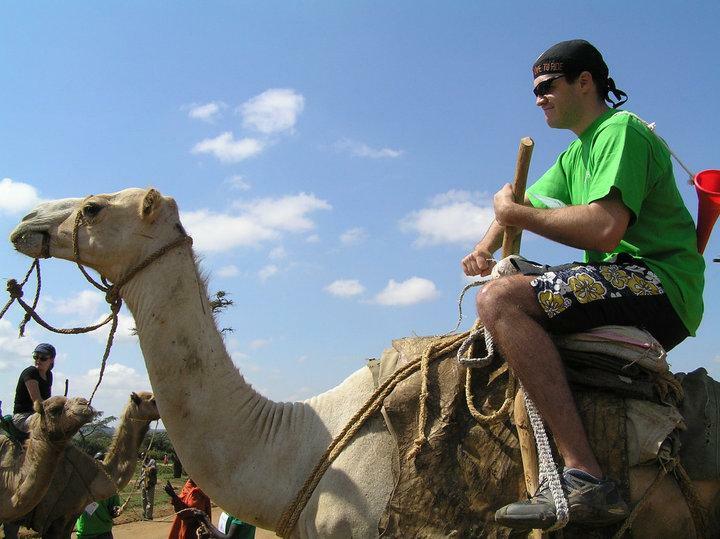 Best Known as Kenya’s most prestigious camel race, the Maralal Camel Derby is an annual event that normally takes place just outside of Maralal town, a remote desert outpost in Samburu county. Initiated by the late Malcom Gascoigne, who was the proprietor of Yare Camel Camp, this derby has been ongoing for 23 years now with the support of the Samburu community who participate fully in the running of the event. The event has so far attracted numerous organizations taking the sponsors role; the Kenya Tourist Board, Safaricom (largest mobile phone service provider), Kenya Commercial Bank, Samburu County Council, and many others. Maralal derby has grown into a great social event and is now recognized as a serious international sport with participants from New Zealand, Mexico, America, Canada, Australia, England, France, Spain, Japan, China, Sweden, Holland, Italy, South Africa, amongst many other countries having raced over the years. The event also brings together several nomadic pastoralist ethnic groups; the El molo, Dassanech, Boran, Pokot, Samburu, Turkana among others. These communities engage and discuss about the various challenges that face them as pastoralists such as education and environmental issues. 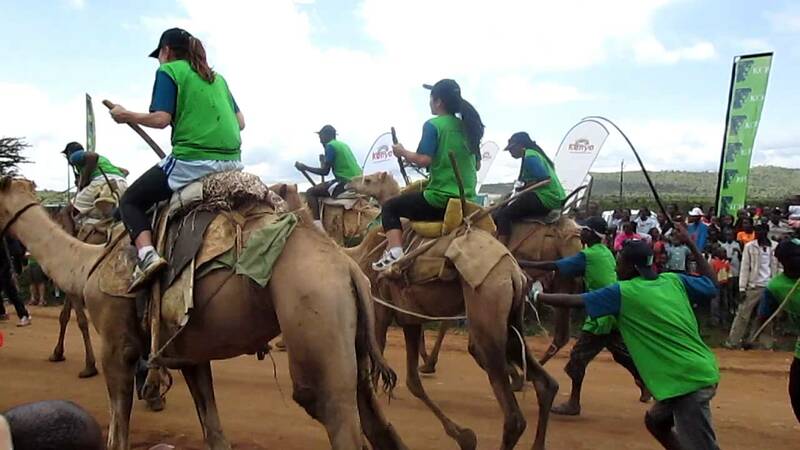 This year’s Maralal Camel Derby took place from 30th August to 1st September under the “Promoting peace through culture and sports” theme. 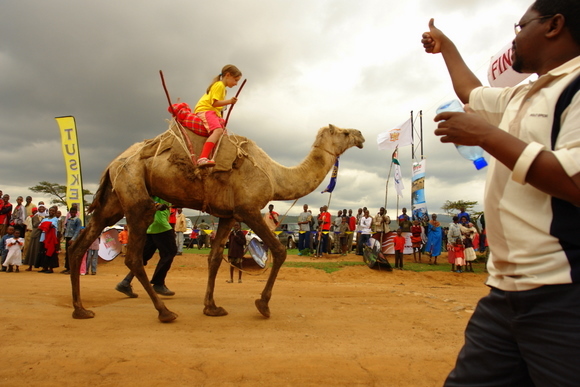 The event featured camel races for amateurs and professionals, peace marathons, bike competitions, traditional dances, cultural shows (cultural manyattas and traditional ceremonies displays), culinary show, stalls showcasing curios and handicrafts among other cultural exchanges from a wider array of traditional neighboring ethnic groups. The derby serves to educate people on the many benefits of camels therein promoting better camel husbandry among the Kenyan people. It also helps in conservation of nature by creating awareness of the rapid onset in the desertification of Kenya. The local community has not been left behind either, the Maralal camel derby has helped sensitize them towards diversification of livelihoods thereby highly boosting their economy. 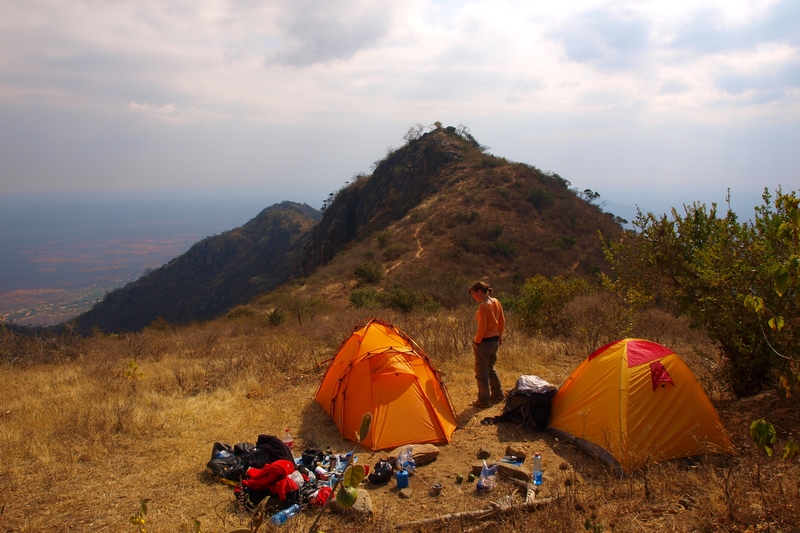 The fun-filled derby is primarily a camping weekend however those not so keen on camping, Yare, Maralal Safari Lodge, and many other hotels in the town provides you with alternative accommodation. The races are often flagged off by local dignitaries with jockeys making sure their camels don’t steer off the course into other directions as many normally do. Along the race route, supporters line up to cheer on their jockeys with many awaiting at the final stretch. The derby has grown to include a 10km and 5 km fun run; the latter is for the physically challenged, and a cycling race – with mountain bikes racing over a demanding course. The cycle race also attracts its share of dedicated professionals on world-class bikes, as well as local amateurs on bikes that in some cases never see the end of the race. 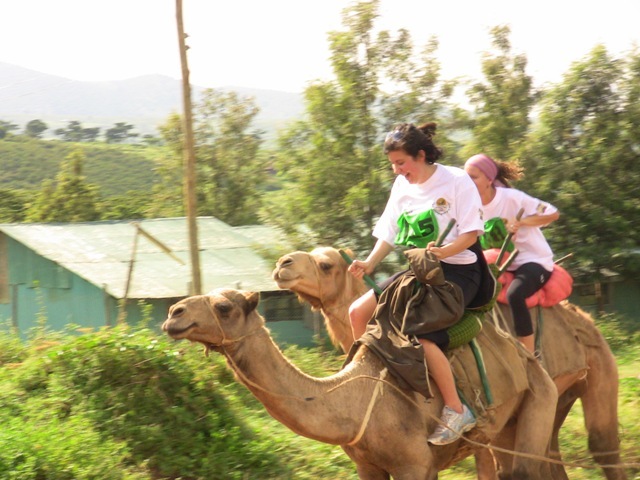 The Maralal Camel derby is quite a refreshing cultural festival and if you are visiting Kenya around the derby time, don’t miss out! 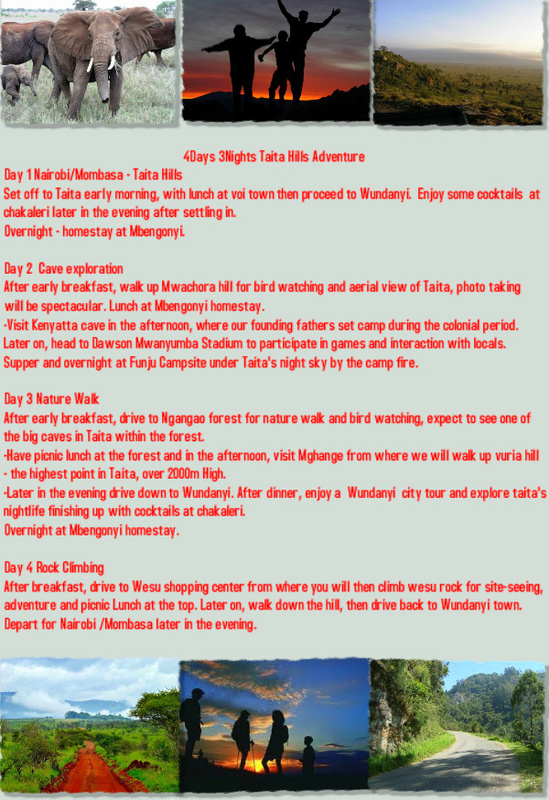 You’ve been waiting a while now for it, and its about time too…the Taita Hills Adventure is finally here. 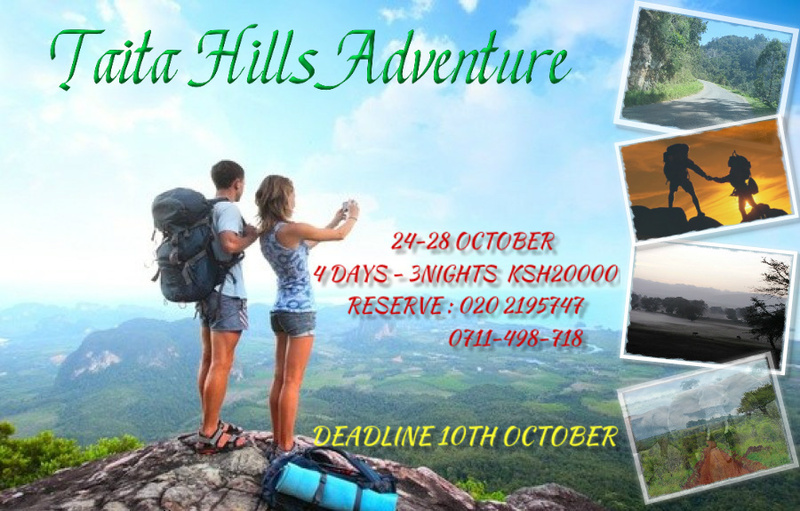 Set for October, this trip promises you lots of thrill, adventure, entertainment, engaging activities, cultural experience, and fun! fun! fun! Get to interact with people from different cultural backgrounds and enjoy time off your hectic schedules. One of the sites at which we will camp, Funju campsite. A place where the Eastern Arc mountains and the nyika meet. Ready to have a blast?…well then see you there! 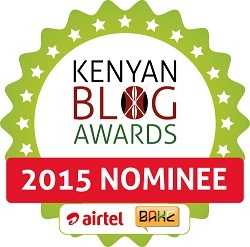 As promised, the list of shortlisted finalists for the Eco-tourism award is finally out. The 7th edition of the Eco-Warriors Award Ceremony Gala Night scheduled to be at the Safari Park Hotel and Casino on 24th September 2013, will be held under the Tourism’s role in sustainable community development theme. This year’s Eco-Warriors will be held during the Ecotourism and Sustainable Tourism Conference (ESTC13) Kenya Night Event. The Ecotourism and Sustainable Tourism Conference (ESTC), organized by the International Ecotourism Society (TIES), is a unique annual conference focused on the advancement of sustainability goals for the tourism industry. Currently underway at the KICC (Kenyatta International Conference Centre), the Kenya Hospitality Trade Fair was officially launched yesterday by the Governor of Nairobi, Dr. Evans Kidero. The Trade Fair kicked off with a premier conference for the first edition of Hotel Summit East Africa (HOSEA)(this was introduced by the event’s organisers, Slujan Events in conjunction with the Eastern Africa Economic Chambers of Commerce (EAECC)) under the theme Investing in the Hospitality Industry: The next Frontier. The three-day event that ends tomorrow (25th – 27th July) is regarded as the largest hospitality event in East and Central Africa, and expects to attract just about over 10,000 business networking, exhibition and conferencing professionals.This event will give a platform to hospitality-oriented businessmen amongst others, to sample top notch products, services and solutions available in the industry. Also expected at the event are over 100 exhibitors from more than 10 countries. The exhibitors will include experts in interior décor & furnishing, international manufacturers, suppliers and solution providers in hospitality supplies & equipment, distributors, technology & sustainability, outdoor & tailor-made experiences and many, many others. 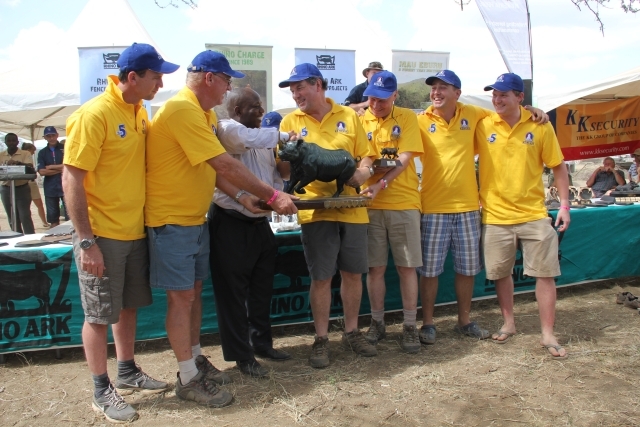 The numbers are in, Rhino charge this year successfully raised a whopping Ksh90,294,239.18 a step up from last year’s Ksh84.6 million by a Ksh5.6 million difference; an all time record. 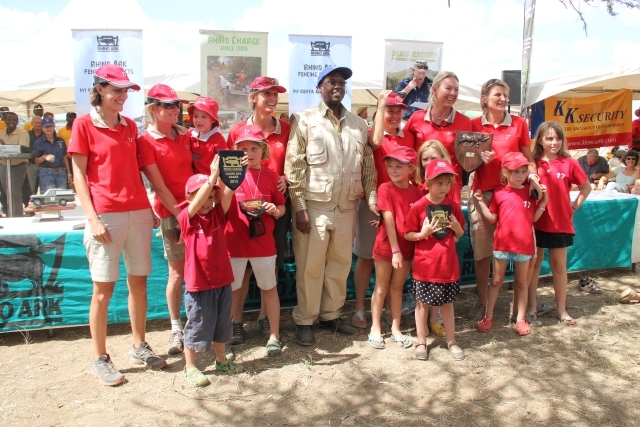 This was a three-day event held from June 1 in Ol Doinyo Nyokie, Kajiado County. 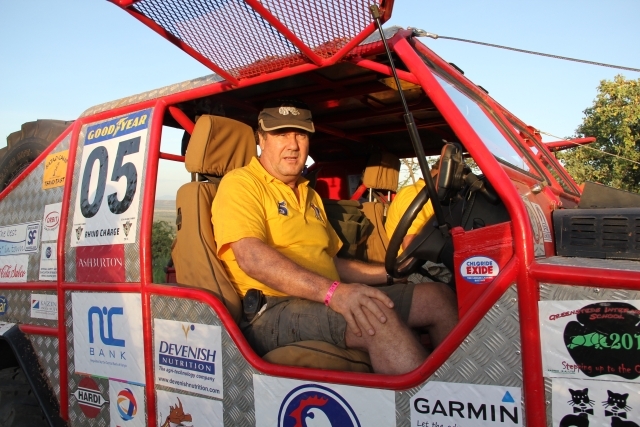 Sean Avery ( Team Bundu Fundi – car 38) whose team visited all guard posts with a distance of 26.99km was this year’s winner. “I am most thankful to the host community for accepting us in one most beautiful and unspoiled part of East Africa, as well as to all the competitors and sponsors for having come good in a difficult time for a cause which is at the centre of the future of the nation” David Lowe, Clerk of the Course. The most prestigious Victor Ludorum Award (highest fundraiser award) went to Alan McKittrick of car 5. McKittrick and his team continued their noble streak of fundraising having raised an all time high of Ksh12,098,283 beating their last year’s record of Ksh11,509,015. 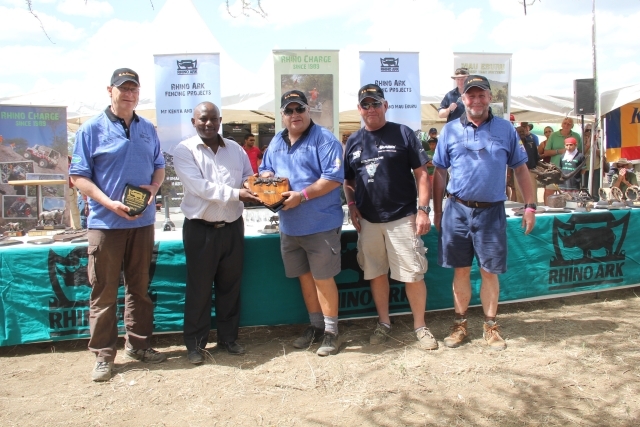 Alan has been the highest fundraiser in rhino charge’s history having raised a staggering total of Ksh101,240,535 since 1989. This incredible performance saw McKittrick’s team awarded the Ken Kuhle trophy for services to conservation having been number one fundraiser for 11 consecutive years. 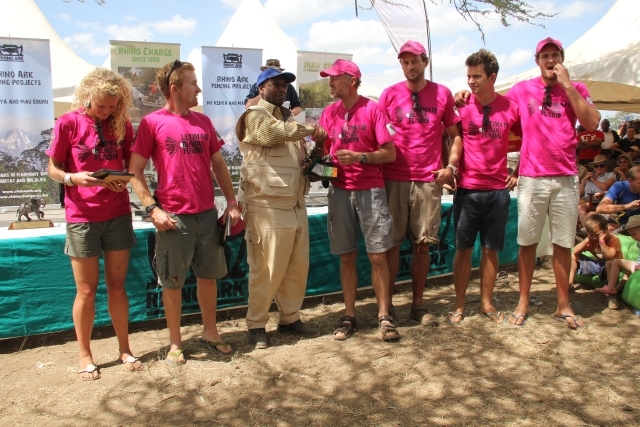 Tim Carstens of Base Titanium came in 2nd with just over Ksh5 million raised. The tough Gauntlet race proved a bit of a challenge for Sean Avery coming in second with a distance of 1.34km. First place went to Terry Childs (Braeburn Seven Squared) in car 49 with a distance of 1.28km who also won the Tiger Line 2 covering a distance of 3.876km. Peter Bonde Nielsen in car 64 came in Third with a distance of 1.36km. Avery managed to regroup and emerged winner of the modified vehicles category. 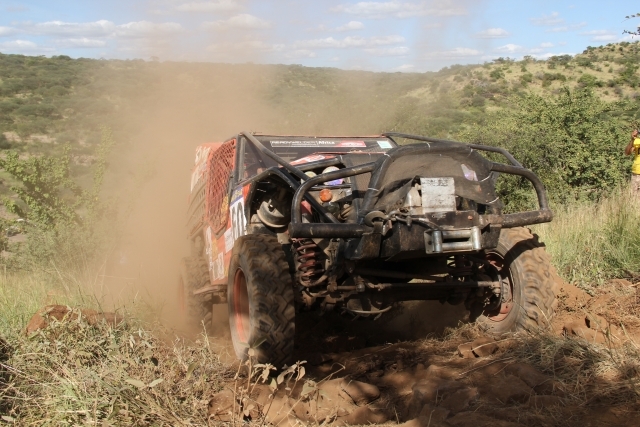 Tanya Church (Team Rhino Rouge) in car 17 won the unmodified category but was placed 16th overall with a distance of 37.356km. She was also awarded the Coupe Des Dames award. Tiger Line 1 was won by Mark Glen (Glen/Llewellyn) in car 48 covering a distance of 1.747 km whereas Best placed overseas entrant went to Chris Welles (The Wags) in car 10 placed 39th overall in the event. Anton Levitan scooped the Spirit of the Charge trophy having been Clerk of the Course for 19 consecutive years. Levitan’s efforts have seen the charge evolve into a much sort after conservatory sport built up of thrill, fun and social responsibility. 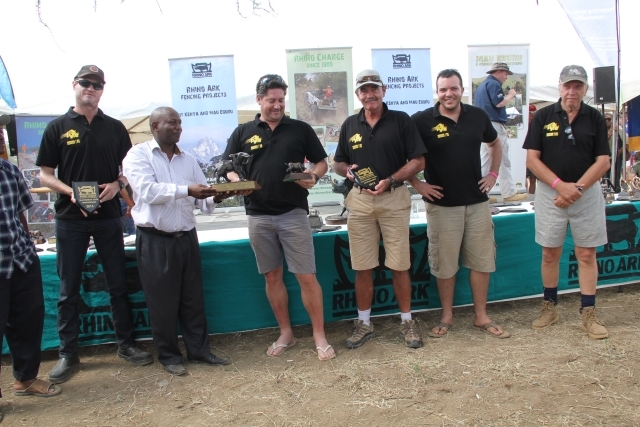 Another success into the event was the Rhino Charge raffle meant to assist the fund-raise with over 120 prizes. The main prize, 2 return business class tickets to Bangkok from Kenya Airways and 5 nights accommodation at the Rembrandt Hotel in Bangkok was won by Business Advisory Group supporting car 44. Ksh2.9 million was raised in camping fees. This was gotten from entry fees into the venue by all entrants. The funds will go to local conservation projects run by a local committee. 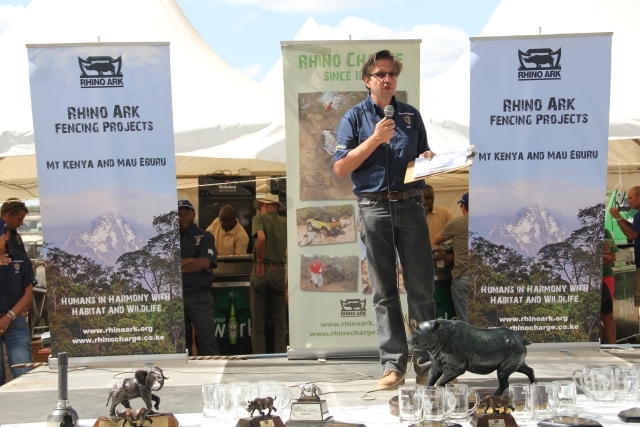 Speaking during the prize giving ceremony, Christian Lambrechts, Executive Director of Rhino Ark thanked “the competitors who have been most active during the past year in securing sponsorships for their cars and succeeded in raising funds to a level never reached before”. 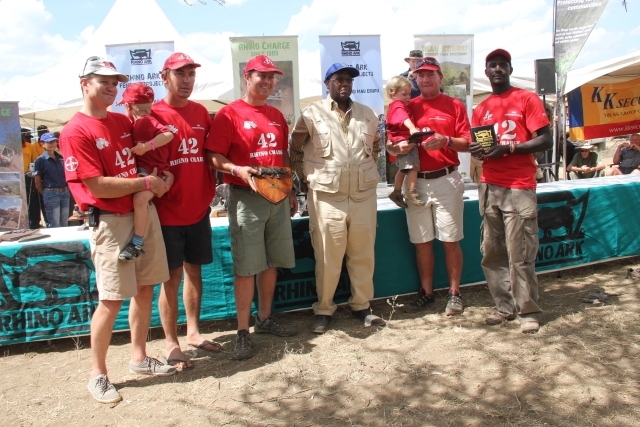 The money raised during Rhino Charge will go towards fencing Mt Kenya and Mau Eburu. Work on these two projects has already began with 27km of the Mt. Kenya electric fence already built and 6km on Mau Eburu completed. 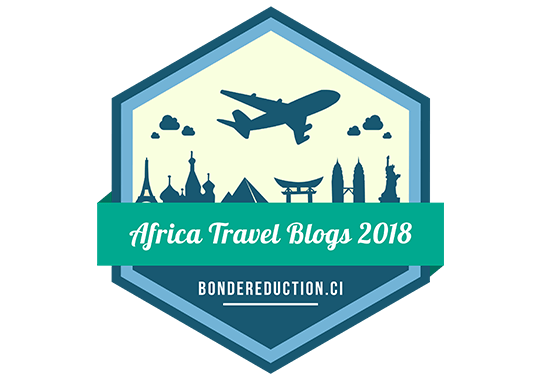 We already know that Kenya is hosting this year’s World Travel Awards Africa, and as months go by we are getting nearer to the big day, 16th of October. 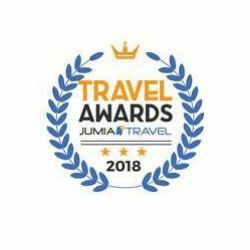 Aside from Sarova hotels scooping a whopping five nominations, little is known of other nominees in Kenya’s travel industry. Here is a look at the Kenyan industry players who received nominations in various categories of this prestigious awards.